DR Quick-Lock Head - Change Trimmer Line Quickly! 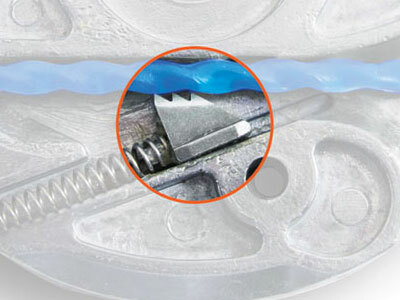 The DR Quick-Lock enables the trimmer cord to be fitted quickly without tools. The Quick-Lock system also accepts the special 5.5mm Sawtooth cord which is the thickest and longest lasting cord available. The Quick-Lock system is compatiable with all current models of DR wheeled trimmers. 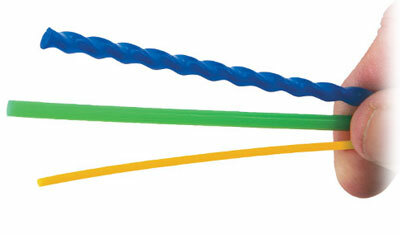 Supplied with 8 pre cut lengths of 4mm green, 4.5mm blue and 5.5mm orange DR trimmer line. Note: This Quick-Lock Trimmer Head will only fit the current TR4 models of DR Wheeled Trimmers manufactured since 2013. The blue and green DR trimmer line is extra thick and is specially formulated to last longer than the yellow flimsy cords often used on hand held grass trimmers. 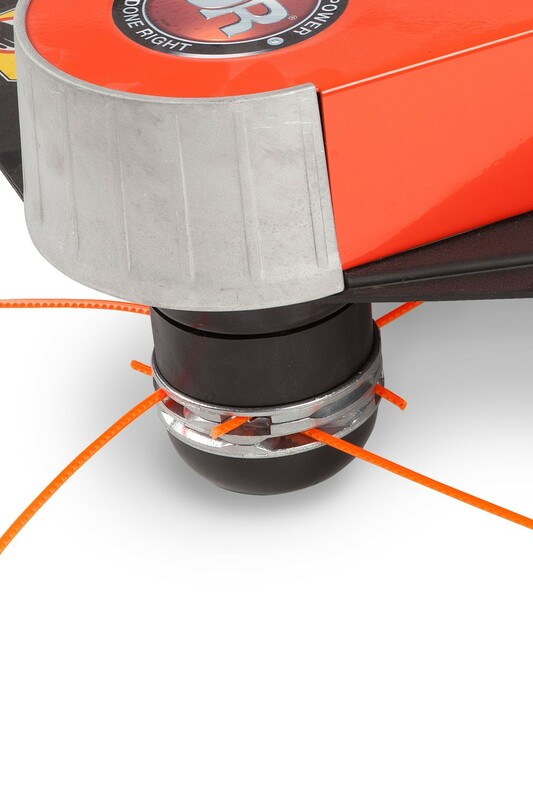 The patented locking mechanism with in the Quick-Lock trimmer head anchors the cord in place so it can't be pulled out even when trimming thick dense weeds. What is the required length of the trimmer line when used with the Quick Lock trimmer head? 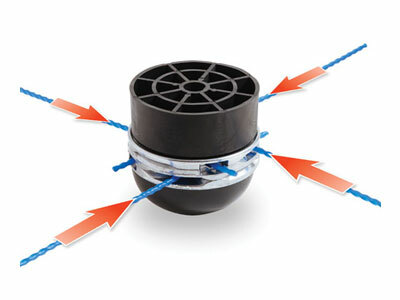 When using the Quick-Lock trimmer head, you will need to cut 4 x 13" lengths of the required DR trimmer line. Can any of the DR trimmer lines be used with the Quick-Lock trimmer head? Yes, the green, bue and orange sawtooth trimmer cords are all suitable for use with the Quick-Lock trimmer head. Will the Quick-Lock Trimmer Head fit older models of DR Wheeled Trimmer Mowers? This particular one is only compatiable with the current TR4 model of Wheeled Trimmer, however Quick-Lock Trimmer heads suitable for previous models of the Wheeled Trimmers are available.